One of the most annoying things about crowdfunding campaigns is that I don’t hear about them until it’s too late to make a difference. 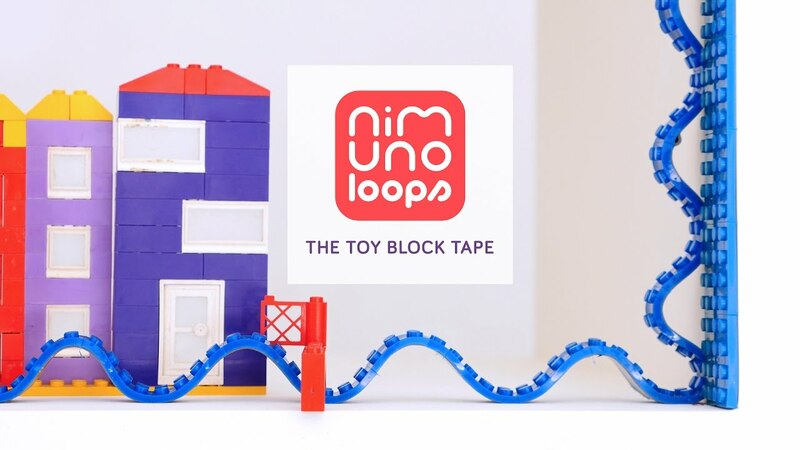 Nimuno Loops is one such project. In fact, by the time I heard about it, it was on the verge of breaking USD 1,000,000. With 21 days left (at the time of writing), it’s heading toward 20,000% of its initial USD 8,000 target. The campaign is self-explanatory: they’re introducing the world’s first LEGO-compatible adhesive tape. The idea is that you can customise household objects, bikes, phones and even clothes with this tape. This will allow you to attach LEGO bricks and minifigures to virtually anything. I’m particularly curious and excited about this product, especially since they’ve announced it will come in black as well. I’ve pledged for four rolls of the tape in grey, and you’ll see what I’ll do with them once they’re in my hands. Clearly they don’t need my help, but I thought I’d mention this campaign to anyone who hasn’t heard of it. You’ve got a whole three weeks to show your support!